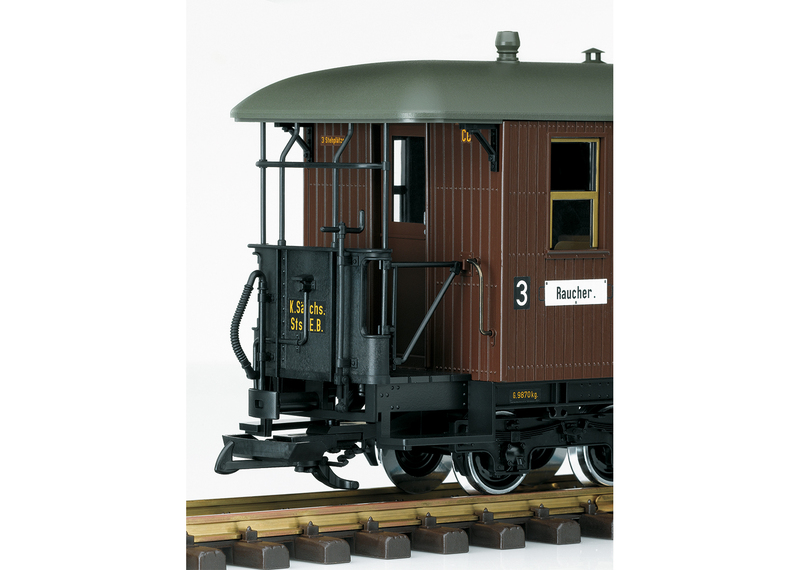 This is a model of a passenger car, 3rd class, for Saxon State Railroad narrow gauge railways. The paint and lettering are prototypical for Era I. The doors on the platforms can be opened, and the car has complete interior details. It also has metal wheel sets. Length over the buffers 58 cm / 22-13/16". 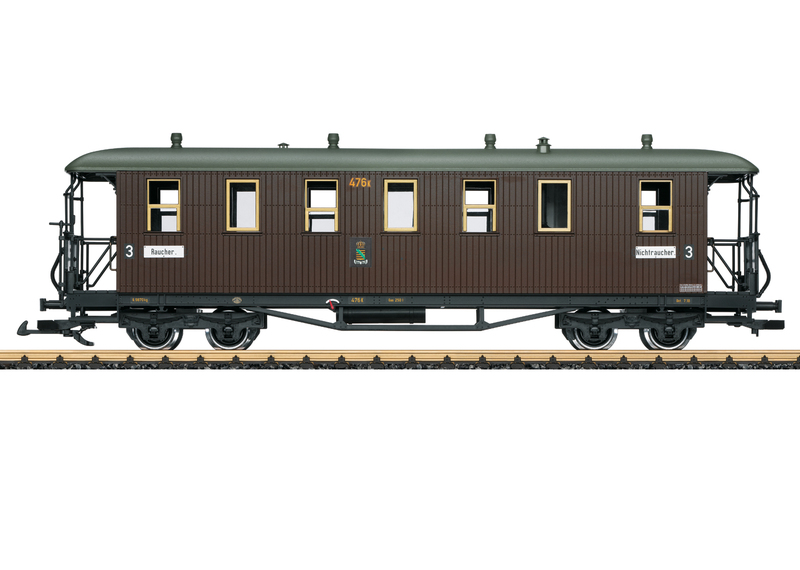 Another car of this type as a car, 4th class, is available under item number 31354. 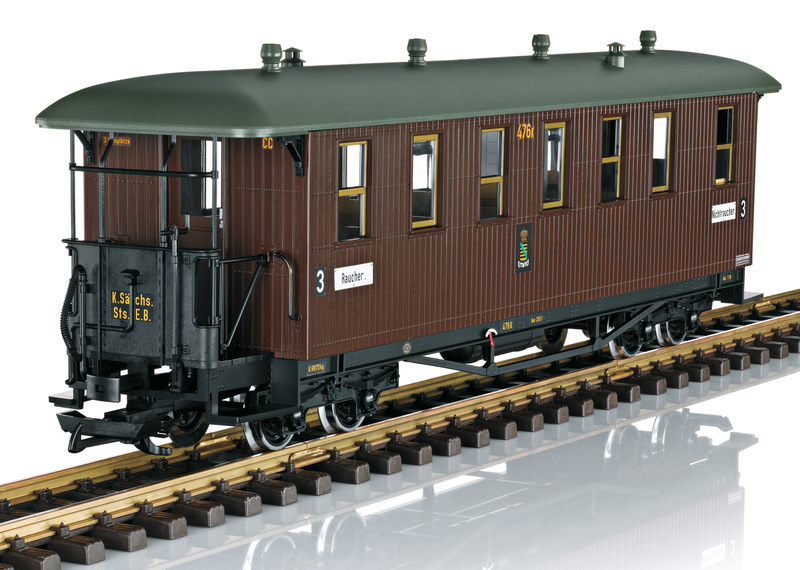 The locomotive to go with these cars is the class VIk available under item number 20481.